(NASHVILLE, Tennessee) — Whether you’ve been to the land of the Bible or always wanted to go, you’ve never experienced it like this before. Three years in the making, Daily Audio Bible is proud to present “Promised Land” – a feature-length cinematic achievement and a sweeping masterpiece. For a limited time, “Promised Land” is available on Blu-ray and DVD exclusively at DailyAudioBible.com, and each order comes with a free soundtrack CD while supplies last. See the places you’ve imagined and read about in Scripture filmed in vivid high definition from angles never seen before. “Promised Land” immerses you in the stories of the Bible, where they happened, as author and leader of the Daily Audio Bible, Brian Hardin, takes you from the wilderness to the Galilee and out onto the coastal plain before entering the most holy city in the world…Jerusalem. The history and geography of the Bible will come alive as the Scriptures unfold before your eyes. With over 1.5 million listens monthly and over 70 million downloads, Daily Audio Bible (www.dailyaudiobible.com) is one of the most-listened-to podcasts in the world. Created by Hardin in 2006, Daily Audio Bible is one of the world wide web’s biggest success stories. Singer/songwriter Chris Whittington has joined forces with his long-time friend and producer, CCM pioneer Kemper Crabb, to share an ancient worship experience with their fellow Texans this Christmas season. the Middle Ages, which featured both Whittington and Crabb singing lead vocals. The television attracted more than 165 million viewers nationwide. voices and our acoustic instruments, there is always such a sense of immediacy between us and the audience,” says Whittington. 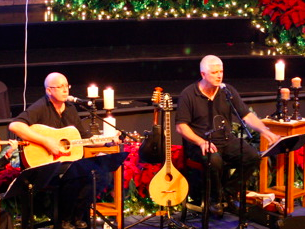 The final date of the Medieval Christmas Tour is Dec. 21 at Crosspoint Community Church in Katy, Texas. For more information, visit chriswhittington.com. Texas-based singer/songwriter Chris Whittington recently released his debut EP, Bright Portal, a collection of melodic, guitar driven tracks woven with symphonic overtures and lyrics planted in the truth of Scripture. The musician collaborated on Bright Portal with fellow Texan, CCM pioneer Kemper Crabb, known for his work with Caedmon’s Call, Radiohalo and ArkAngel. The new EP is available on amazon.com and other online retail outlets. Chris Whittington and Kemper Crabb share the stage during the Medieval Christmas Tour date at First Baptist Garland in Garland, Texas. Whittington, who has shared the stage with Crabb and Caedmon’s Call, called on Crabb to produce Bright Portal. The two met in the 1970s in a record store and became fast friends. Whittington and Crabb are both part of Colony 3, a creative community committed to learning how to think biblically about everything. 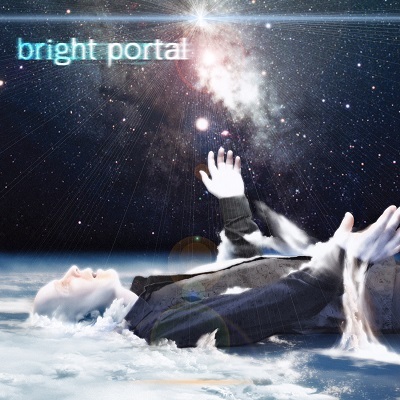 both the music and lyrical content of Bright Portal. From the opening acoustic guitar strain of “Sing With All The Saints” to the lush orchestral underpinnings that close out “Fill The Temple,” the mood Whittington sets is fresh and contemporary, yet thoroughly invested in classic, traditional and even ancient musical forms. Whittington invites his listeners not only to experience the music, but also to participate in it. “Sing With All The Saints” channels classic Byrds’ guitar licks with fuzzy, electric sitar-esque strings and beckoning mandolin, while weaving in traditional hymnody language to connect generations of worshippers to this compelling call to worship. “Coram Deo,” literally translated, “In the presence of God,” is a moody confessional, extolling the attributes of God while recognizing the shortcomings of humankind’s sinful nature. Whittington moves effortlessly into the lovely, Irish whistle-embellished, acoustic love ballad, “Love Again.” Whittington employs a decidedly classic rock vibe on “Love Is Come,” with straight-forward electric guitars, thumping bass lines and brassy horns to underscore the message that you can’t stop love. Minor key strings usher in the reverential worship aria, “Fill The Temple,” then Whittington allows the mood to swell through judicious use of everything from solo acoustic guitar to vocal choral interludes and full-blown orchestra, and the result is nothing short of exquisite. Chris Whittington recently released his debut EP, Bright Portal. from media outlets, fellow musicians and church leaders. – Garett Buell, percussionist, Caedmon’s Call. In addition to his musical talents, Whittington is a successful businessman. He is the founder and owner of Whittington Steel, a Texas-based steel company. Whittington and his high school sweetheart, Joanne, have four adult children: Lindsay, Lauren, John and Leigh Ann. The couple celebrates 35 years of marriage in 2014. For more information about Whittington and Bright Portal, visit chriswhittington.com. NASHVILLE, Tenn. – Dec. 19, 2014 – Four-time GRAMMY® Award-winning band THIRD DAY will hit the road this spring to headline the SOUL ON FIRE TOUR, coinciding with the March 3 release of the band’s new worship album, LEAD US BACK. The 20+ city spring leg kicks off March 5, in Boston following an album launch party at New York City’s famed Beacon Theater on March 3, and will then move on to major U.S. markets such as Philadelphia, Tulsa, Dallas, Grand Rapids and more, before wrapping up on April 26 in Augusta, Maine. The SOUL ON FIRE TOUR will introduce Dove Award Winning New Artist of the Year Ellie Holcomb on most dates, while Grammy nominated Australian favorite Peter Furler will be a special guest on other select dates. THIRD DAY will continue the tour across Canada before moving into some special summer shows, and then complete their U.S. touring in the fall of 2015. The SOUL ON FIRE TOUR takes its name from one of the first singles on THIRD DAY’s brand new worship project, LEAD US BACK, the band’s first worship recording in more than a decade. The group’s two previous worship albums, OFFERINGS – A Worship Album in 2000 and OFFERINGS II – All I Have to Give in 2003, have been the two biggest selling albums of THIRD DAY’s career to date. A special VIP package will be available for SOUL ON FIRE TOUR ticket buyers, including a premium-seat concert ticket and an after-show VIP experience with THIRD DAY. For the most up-to-date ticketing information, please visit www.ThirdDay.com. THIRD DAY, comprised of members Mac Powell, Tai Anderson, David Carr and Mark Lee, during the last two decades, has racked up 30 No. 1 radio singles. The band has sold more than eight million albums, including two RIAA 2x Multi Platinum, five Platinum and 12 Gold certifications. A Georgia Music Hall of Fame inductee (2009), THIRD DAY has garnered four GRAMMY© Awards (with 11 career nominations), an American Music Award (with four American Music Award nominations), multiple ASCAP honors, (including its coveted Vanguard Award for songwriting), and 24 career GMA Dove Awards (from 42 nominations. For more information on THIRD DAY, please visit: www.ThirdDay.com, www.facebook.com/ThirdDay, www.twitter.com/ThirdDay, www.instagram.com/ThirdDay or www.providentpress.com. Recently crowned New Artist of the Year at the Gospel Music Association Dove Awards, Ellie Holcomb is a star on the rise. Inspired by God’s Word, Holcomb recorded and released two EPs full of songs based on the Psalms and other scriptures, Magnolia and With You Now. Even with zero dollars spent on promotion, they both hit No. 1 on the iTunes Christian/Gospel charts. Her scripture-based full-length debut followed in February 2014. As Sure as the Sun (Full Heart Music) received rave reviews for the talented singer-songwriter, who also collaborates with her husband Drew as part of his band, Drew Holcomb and The Neighbors. Find out more at www.ellieholcomb.com. With multiple GRAMMY nominations and Dove awards, 25 No. 1 songs and over seven million albums sold in his career, Peter Furler (founder of the Newsboys), released his critically-acclaimed first solo album, On Fire, in 2011. He returned in 2014 with collaborative efforts on three albums released this year. Sun and Shield by the Peter Furler Band was released in March, Christmas with David Ian in October and Goliath by The Perfect Foil with longtime producer/artist Steve Taylor just released in November. For more information, visit www.peterfurler.com. Nashville, Tenn. (December 19, 2014) – GRAMMY® Award-winner Chris Tomlin is a featured performer on Fox News Radio’s two-hour Christmas special, “Todd Starnes All-American Christmas,” (#toddschristmas) set to air on Christmas Eve. The special will air on a number of Fox News Channel digital properties including toddstarnes.com, FoxNews.com, FoxNewsRadio.com and FoxNation.com. Additionally, the show will air on Fox News Radio affiliate stations along with American Family Radio, Bott Radio Network and KCBI in Dallas. Tomlin’s segment included performances of “O Come All Ye Faithful” and “Angels We Have Heard On High” from his RIAA Gold-certified Glory In The Highest project, as well as “Jesus Loves Me,” the current hit single from his latest best-selling effort, Love Ran Red. Other featured guests on the special include Duck Dynasty’s Al Robertson, Former Gov. 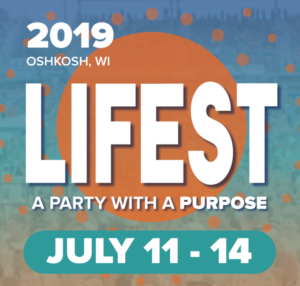 Sarah Palin, New York Times best-selling author Karen Kingsbury and musicians Ellie Holcomb and Kyle Kupecky along with a 400-voice choir and orchestra. With nine albums, 12 No. 1 radio singles, a GRAMMY® Award and eight additional nominations, three Billboard Music Awards, 21 Dove Awards, a platinum and four gold albums to his credit, Chris Tomlin is among the most well-known and influential artists in contemporary Christian music. Referred to by Time magazine as “most likely the most often sung artist anywhere,” Tomlin also has 15 of the Top 100 CCLI songs, with 4 of them being in the top 10. BMI and GMA Dove Awards’ 2014 Songwriter of the Year, Tomlin’s “How Great Is Our God” was his first No. 1 on the CCLI Top 25, moving to No. 1 after becoming one of the fasting rising modern day hymns in CCLI chart history. In addition to having sold more than 5.3 million albums and over 8 million digital tracks, Tomlin made history as his single “Jesus Messiah” (Hello Love) garnered 97 adds at radio its first week and skyrocketed to No. 1, making it the biggest ever add date in Christian radio history. In the midst of his record breaking success, and continuing his role as worship leader at Passion City Church in Atlanta, GA, Tomlin continues touring and leading at Passion Conference gatherings across the US and worldwide. Burning Lights debuted at No. 1 atop the Billboard 200 in January 2013, making history as only the fourth Christian music album to do so, and his tenth recording, Love Ran Red is available now. Nashville, Tenn. (December 18, 2014) – Platinum-selling artist Mark Schultz’s new Christmas single – “Different Kind of Christmas” – has reached viral status on Facebook. The live music video has received nearly 4.5 million views, 142,000 shares, 18,000 likes and numerous comments from fans and listeners, all within less than a week. “Different Kind of Christmas” also shot up to the No. 1 spot on the iTunes Christian & Gospel Songs chart. The song was originally inspired by the life of Schultz’s father-in-law and his recent passing. “We tried to write the lyrics that would reflect the honesty of the emotions we were feeling – that Christmas was still hard, even though we have faith that Kate’s dad is with Jesus,” said Schultz in a message to his fans. “We had no idea how many lives this song would touch, but it only makes sense because there are very few people that haven’t experienced a loss that makes life a lot different. There are few times in the year when that difference is felt more powerfully than around the holidays.” Tomorrow, CBN’s The 700 Club will be airing the live performance. (NASHVILLE, Tennessee) — Christian music newcomer Brittany Jester is making noise with her debut radio single, Tell Me  currently impacting radio stations nationwide. Brittanys self-titled debut EP, Brittany Jester, is available now on iTunes, Amazon, Google Play, Spotify and at Cross Way Christian Supply stores. At just 8 years old, Brittany stepped in front of an audience for the first time, performing a Christmas song for a group of seniors. Before long, she was singing at private parties, churches, festivals and sporting events, including a stadium performance for the Atlanta Braves and an opening slot for country legend Louise Mandrell. In 2001, at the age of 12, Brittany made her national television debut, performing on Its Showtime at the Apollo. Her appearance on the legendary program cemented her desire to pursue music full-time, and provided an entry on her resume that made it clear that she was on her way. Now 25, Brittany is promoting her official debut album, and radio stations around the country are adding her first single, including stations in Kentucky, Missouri, Connecticut, South Carolina, Florida, Alabama and Mississippi. With a soulful voice and an even bigger heart, Brittany is finally seeing her youthful dreams fulfilled. And shes determined to make a difference in the lives of those that hear her music. For more information, visit the official website at www.brittanyjester.com. Top-selling rock band THOUSAND FOOT KRUTCH jump starts its holiday season, performing during Alice Cooper’s annual Christmas Pudding benefit event Dec. 13 in Phoenix, AZ at Comerica Theatre. TFK frontman Trevor McNevan is pictured (above center) with Alice Cooper backstage at the event that benefited Alice Cooper’s Solid Rock’s teen center in Phoenix, a non-profit charity that provides free music and free dance lessons to teenagers (www.alicecoopersolidrock.com). The event also featured Alice Cooper, Nils Lofgren, P.O.D., Jonny Lang, Night Ranger and more. Touring in support of its second consecutive No. 1 selling Billboard Hard Rock album, OXYGEN:INHALE, released Aug. 26 through The Fuel Music, the event with Cooper followed tour dates in Russia that saw capacity crowds in every venue. Photographer Melissa Fox captures (below) the enthusiasm from Moscow on Nov 23 at Ray Just Arena. While on tour, TFK is playing fan favorites and hits from OXYGEN:INHALE like “Born This Way,” which is Top 10 at Under The Radar, No. 22 at Active Rock, No. 23 at Mainstream Rock and continues to climb all three charts. The song, which became the band’s 15th Christian No. 1 rock hit, is similarly being embraced as a “fists-in-the-air” sports entertainment anthem, most recently firing-up faithful WWE fans as the official theme song for the “TLC: Tables, Ladders and Chairs” pay-per-view event Dec. 14 at Quicken Loans Arena (Cleveland, OH). The song has also been featured on NASCAR and Southeastern Conference (SEC) college football games on ESPN as it picks up over 638,000 views and 6,200+ likes on YouTube. Although OXYGEN:INHALE dares to lower the volume on a few songs and allow the melodies and words to soar, tracks like lead single, “Born This Way,” and “Untraveled Road,” are two adrenaline-fueled tunes already tapped for highlight reels. Adopted by the NHL’s Ottawa Senators as their 2014-15 anthem and being used in the “pump-up” video for the Montreal Canadiens’ 2014-15 season, “Untraveled Road” is like marching orders set to music, with vocals delivered with hip hop urgency before exploding into a chorus that reminds of Linkin Park at their catchiest. With featured performances and headlining positions on the summer festival circuit after performing at the premiere festivals Rock on the Range and Rocklahoma for the last two consecutive years, the Ontario, Canada-bred TFK has been a continuously escalating highlight reel since their formation in 1997. With best-selling albums, eight Active Rock hits and a slew of soundtrack slots, the group has literally infiltrated every facet of pop culture. They continue to receive ongoing ESPN appearances, as well as various NASCAR, MLB, NHL, WWE, NCAA and NFL airings (including the 2010 Super Bowl), along with the “GI Joe” movie trailer, WGN-TV’s “Smallville” and EA Sports’ NHL 2010 and 2013 video games. Remarkably, the three most recent albums, OXYGEN:INHALE, The End Is Where We Begin and Metamorphosiz II The End Remixes Vol. 1 & 2, receive about 358,000 daily views in combined streaming across all of YouTube. All the latest band information can be found at www.thousandfootkrutch.com, http://twitter.com/officialtfk and www.facebook.com/thousandfootkrutch, where the band has over 1,056,000 likes. Nashville, TN (December 17, 2014) —- Dove Award-winning Phillips, Craig and Dean delivered the true message of Christmas on their recent December tour, by asking concert attendees to donate charitable items to the needy. Each location on the six-city tour is teaming with local charities and requesting items that include food, clothing, toys and financial donations. The markets that benefited from the Phillips, Craig and Dean concerts were Kernersville, NC (canned and boxed goods for the homeless/local food pantries), Hamlet, NC (warm clothing for the homeless/Helping Hands and Ministerial Fellowship), Perry Hall, MD (warm clothing and toiletries for the homeless/Helping Up Mission), Ft. Lauderdale, FL (Toys for Tots), Carrollton, TX (financial donations for the needy/KLTY 15th annual Christmas Wish), St. Louis, MO (warm clothing for the homeless/St. Louis Dream Center). Besides entertaining audiences with music from their Christmas album, Hope For All the World, Phillips, Craig and Dean also treated fans to music from their current project, Above It All that released in November. The project is already resonating with music lovers as the first single, “Jesus, Only Jesus,” reached No. 1 on Billboard’s Soft AC Chart and became the trio’s 24th No. 1 single in their stellar career. Phillips, Craig and Dean will continue their active touring schedule in 2015 and the group is currently taking reservations for an upcoming trip to Israel in May of 2016. The general public can register for the tour at www.phillipscraiganddean.com, and for more information about Phillips, Craig and Dean please visit here, www.facebook.com/pcdguys, and www.twitter.com/pcdguys. Since the group was formed more than 20 years ago, Phillips, Craig & Dean has achieved remarkable status in the Christian music industry. They released their 15th album, Above It All, November 10th, have produced 24 No. 1 radio hits, sold almost three million records, and have won three GMA Dove Awards. Their major hits have received national attention with “Revelation Song” staying at No. 1 for a record-breaking 17 weeks, “Crucified with Christ” named Inspiration Song of the Year by CCM Magazine, “Saved The Day” played during a nationally televised game of the Texas Rangers, and “Shine On Us” being the theme song for the National Day of Prayer’s 50th anniversary. Phillips, Craig and Dean remain an active touring act, which has included appearances at National Religious Broadcasters and Christian Booksellers Association conventions and Promise Keepers events. The group still maintains their moratorium on Saturday night travel due to their commitments as full-time pastors at their home churches in Austin, TX, St. Louis, Missouri and Carrollton, TX. and 10% according to the choice of the site administrators. Keaggy is currently working with long-time friend and executive producer Tommy Coomes (Love Song, Tommy Coomes Praise Band). Coomes has brought Keaggy together with hit songwriters, including Will McFarlane, Gordon Kennedy and others, to write songs for Keaggy’s upcoming vocal album. The project is slated for a 2015 release. To see the entire list of 100 Greatest Christian Rock Guitarists of All Time, visit classicchristianrockzone.blogspot. Classic Christian Rock Zone began in March 2011. It was created to remember pioneers of Christian rock from the 60s, 70s, 80s and 90s. The site also features current news on classic Christian rock artists who are still active musically..
“Classic Christian Rock Zone is a space for those who love this music, a space for those who have known Jesus through this music. Classic Christian Rock Zone is a space to remember the Christian rock artists from its origins to its heyday in the 80s and 90s.” states Anthony Martinez, one of the administrators of the site. For more information, visit classicchristianrockzone.blogspot.com. One of the world’s most beloved musicians, Keaggy’s solo career has spanned 40+ years and has included more than 50 solo albums, both vocal and instrumental, as well as three releases with his band, Glass Harp. 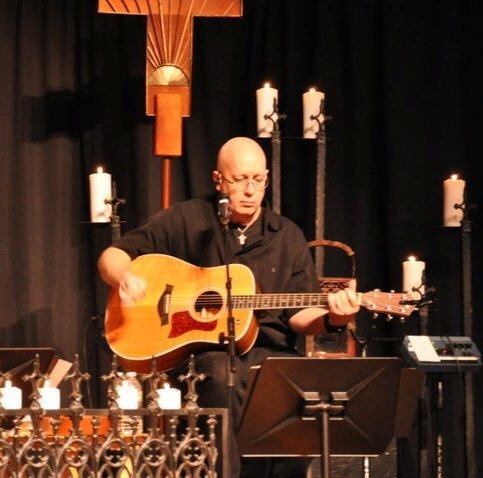 Widely recognized for his phenomenal guitar playing as well as his vocal and songwriting prowess, he has received numerous accolades and awards for his music, including seven Dove Awards and a Grammy nomination. Keaggy was inducted into the GMA Gospel Music Hall of Fame in 2007, and was named one of the Top 10 best rock singers in Christian music history by GospelMusicChannel.com in 2009. In 2013, Keaggy received the prestigious ASCAP Golden Note Award in recognition of his outstanding career achievements. In addition, Rolling Stone has named him one of the “25 Most Underrated Guitarists,” alongside Prince, The Beatles’ George Harrison, Kurt Cobain, Neil Young and Fleetwood Mac’s Lindsey Buckingham. An accomplished record producer and one of the most sought-after studio guitarists on the planet, Keaggy also continues to sell out concerts all over the United States with his ever-changing style, ranging from rock & roll to fully-orchestrated instrumental compositions. For more information, visit philkeaggy.com. 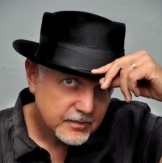 Follow Keaggy on Facebook (facebook.com/philkeaggy) or Twitter (@Phil_Keaggy). (NASHVILLE, Tennessee) — With music and the arts disappearing from schools nationwide, Virtual School of the Arts (VSA) is stepping forward to bring music education back to our schools. Based in Nashville, Tennessee, the 501(c)(3) non-profit organization was founded in 2014 by renowned drummer and songwriter Chad Chapin (Ben Folds, Casting Crowns, dcTalk). VSA provides scholarships for music lessons and the arts to inner city youth and students who do not have access to the arts. All lessons are one on one and taught via Skype with top instructors from all over the world. Due to school budget cuts and/or lack of finances, VSA bridges the gap between aspiring students and professional instructors with significant music industry experience. Chapin started drum lessons at the age of 7, and he was hooked. Shortly after high school, Chapin moved to Nashville to pursue his dream of playing music. Fifteen years later, Chad has toured with award-winning and chart-topping artists, including Ben Folds, Casting Crowns, dcTalk, Tait, Rachael Lampa and many more. Along the way, Chapin has received a Grammy nomination, won a Dove Award and 12 BMI Music Awards, and earned countless Gold and Platinum records. VSA has amassed an impressive list of music industry leaders to serve as instructors, including Garrett Goodwin (Carrie Underwood), Andy Williams (Casting Crowns), Richard Scott (Addison Road, Francesca Battistelli, Matt Maher), Matt Butler (Sheryl Crow, Vince Gill, Kirk Franklin, Yolonda Adams, Newsong), Joe Rickard (Red), Johannes Greer (Ligion, Mink, Bubba Sparxxx), Ty Smith (SHeDAISY, Trisha Yearwood, Ronnie Milsap, Easton Corbin), Brandon Young (John Hiatt), Rachael Lampa (solo artist), Jaclyn North (American Idol Finalist, Texaco Country Showdowns Best New Act in Country Music 2011), Aynsley Martindale (Nashville Symphony), Ryan Greenawalt (Anthem Avenue, Lady Antebellum, Josh Turner), Tiffany Sweeley (Chicago – Broadway Musical, Dionne Warwick, Kirk Talley), Hailey Steele (NBCs “The Voice), Annie Clements (Sugarland), Deanie Richardson (The Chieftains, Vince Gill), Jordan Hester (Kenny Chesney, Nick Carter, Billy Curington, Tait), Tim Rosenau (TobyMac, Kirk Franklin, Relient K), DJ Lipscomb (Steven Curtis Chapman, Geoff Moore, Matt Maher), Evan Weatherford (Mandisa, Natalie Grant, Tait), Dylan Williams (Joy Williams, John McLaughlin), Dustin Ransom (Jars of Clay, Brandon Heath, Andy Davis, Matt Maher), Jonathan Rogerson (Brandon Young), Ellen Angelico (Mustang Salley), Dave Denton (Mark Harris, 4HIM, Truth), Brandon Bagby (Meredith Andrews, Cory Lamb, SHeDAISY), Andrew Higley (Ben Folds, Bo Diddley, Green Horns, Brendan Benson), Sammy Hudson (Everclear), Steve Rossi (Peter Frampton, Taylor Dayne, Cinderella, A&E, Nickelodeon, Discovery Channel), Ellen Angelico (Mustang Sally), Ken Rarick (Michael Jackson, Lenny Kravitz, Madonna, Michael W. Smith, Cher), Annie Clements (Sugarland), Zach Casebolt (Black Mozart Ensemble, Futureman, The Browns), Adrian Walther (Natalie Grant, All Star United) and Nathan Gehri (John Hiatt). At an annual cost of $1,800 per student, VSA needs the support of those that support the arts. Donations are tax deductible. To see VSA in action, click here for a short video: http://youtu.be/oX58ZH0pNEI. For more information about Virtual School of the Arts, visit www.virtualschoolofthearts.org.